Enhances interpretation methods. Interpretation with CycloLog® is faster and of higher accuracy owing to INPEFA®. Gives reproducible results. Less time is spent on discussing correlations. Is fast and versatile – INPEFA® can be applied on multiple well logs of any type and resolution, in just a few simple clicks. Limits bias – INPEFA® calculation is data-driven thus unbiased when compared to model driven interpretation. Has efficient workflows. 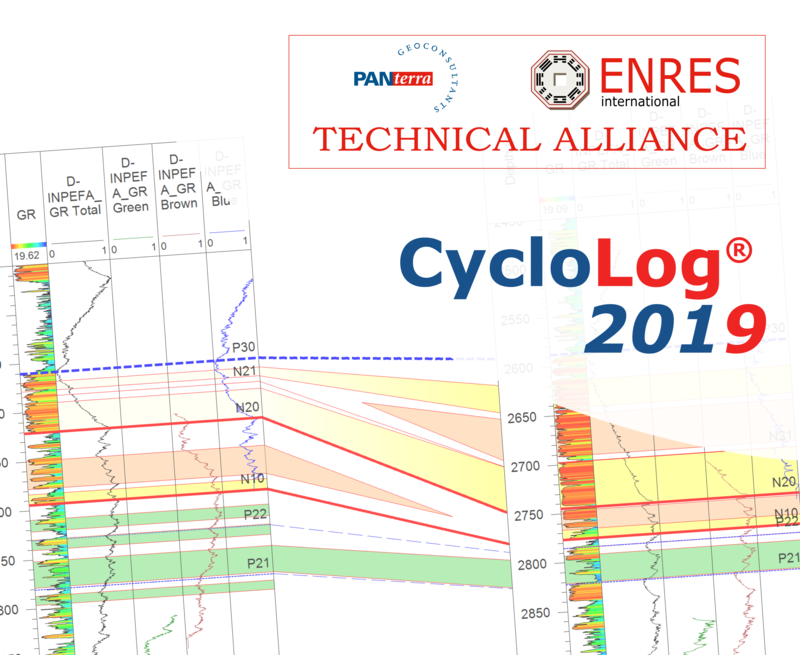 CycloLog supports the workflow of petroleum geologists working with well logs. Has a fast and informative log display. Allows for an in-depth analysis of your logs in relation to your established stratigraphic framework, using several functions. Please contact us if you are interested in CycloLog®. There are different scenarios for installing CycloLog®. Therefore, different installers are available. Here you can select and download the installer appropriate for your organisation. This is the simplest situation, when you want to use CycloLog® on a single device, most commonly a workstation. This situation is suitable for geo-consultants, who travel with a laptop and use CycloLog® on several workstations. This option is ideal for corporate network deployments. CycloLog® can be installed as a service on the network, catering to multiple users and multiple devices.